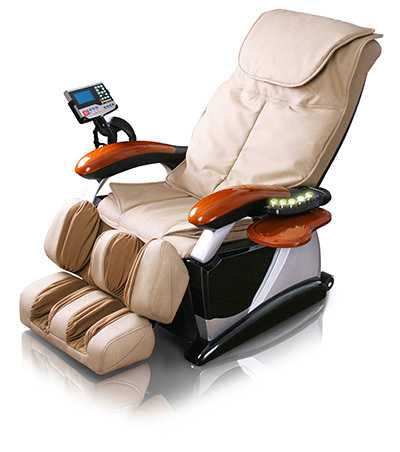 Under the massage modes of flapping, shiatsu and knocking, the width between the two massage hands can be adjusted in three levers of wide, middle and narrow. Under the fixed state, the mechanism can be adjusted up and down to accurately fix the position. Fomentation device equips a jade heater that gives out infrared through five helium-neon bulbs. The temperature is adjustable from 40 Degree centigrade to 70 Degree centigrade.